For one accustomed to seeing the various colors of light sabers in various Star Wars films and television shows, the arrival of a different sounding, differently shaped, and differently colored light saber clearly stands out. As of this writing, the only place on-screen we have seen this very different light saber is in Star Wars: The Clone Wars. 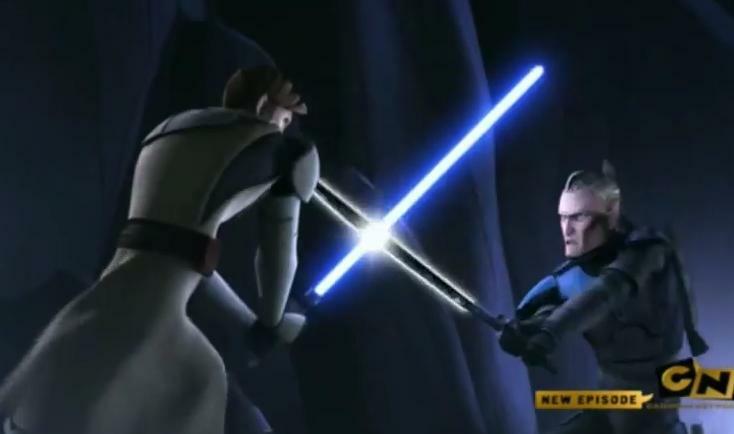 Although it is commonly described on various places on the Internet as a dark saber, it is actually never referenced as such on the show. First introduced in the episode, “The Mandalore Plot”, we see Pre Vizsla confidently wielding it against Obi-Wan Kenobi. He introduces it by saying, “This lightsaber was stolen from your Jedi temple by my ancestors during the fall of The Old Republic. Since then, many Jedi have died upon its blade. 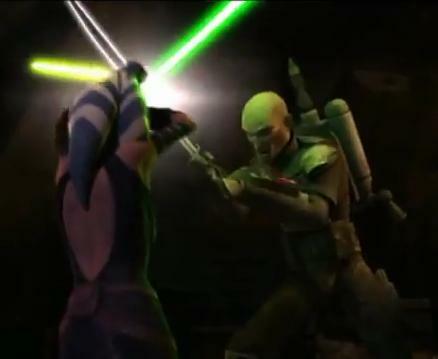 Prepare yourself to join them.” When Pre Vizsla says this, he is not simply stating that this saber is ancient (which it is), but that it has continued to function and endure. It may be one thing for such a weapon to be handed down through generations as if it were a mere decorative treasure or even something hidden away, however, for a weapon that seems to have gotten continued use, perhaps in a family line that seems to engage in battle, this is no small feat. Moreover, they still maintained control of the weapon throughout all of those years and battles and not just against other Mandalorians, apparently, it was also against Jedi, since “many Jedi have died upon its blade.” This is quite impressive, not only for his family to have controlled it for so long, but that they have continued to use it and maintained its control. Interestingly, Vizsla calls it a “lightsaber”, which looks nothing like the Jedi lightsabers to which we’re accustomed to see – it’s black, with little whiteness and looks like a metal sword in our world. 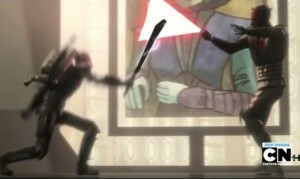 It makes a distinct sound when being swung – almost a metallic sound, certainly different than the current lightsabers. When Vizsla uses it against Kenobi (and in all future engagements), this light saber holds up against contemporary light sabers. 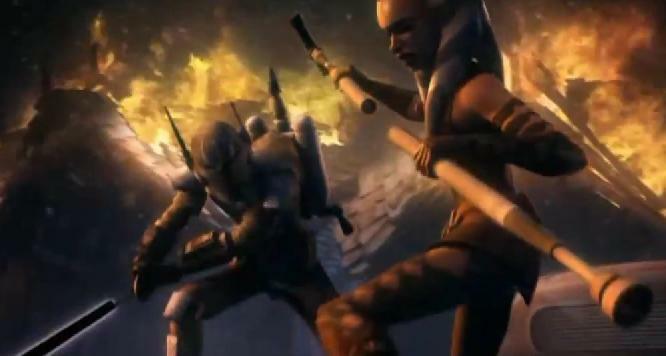 The next time it appears is in the episode, “A Friend in Need”, in which we see Pre Vizsla using it to kill Ming Po villagers, as well as slicing through a wooden staff that Ahsoka wields. 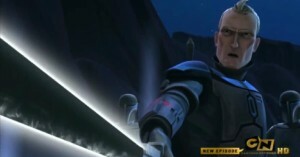 Eventually, at the end of the episode, we see him using it in a duel with Ahsoka. 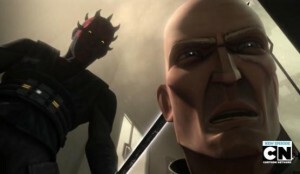 Although not using it, simply while wearing it on his back, where Pre Vizsla normally carries it, when the Black Sun leadership thinks they are going to easily dispose of Savage Oppress, Darth Maul, and him when they come to meet in the episode, “Eminence”, one of the leaders points to the light saber and declares that he wants the light saber: “Give me that one’s sword.” However, once they are all killed, Vizsla, of course, gets to retain it, but it shows that even when not in use, someone can see how desirous it is. 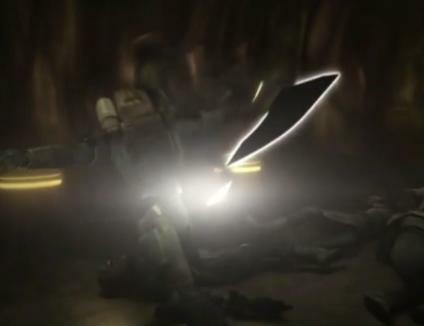 Later on in the same episode, we see Vizsla wielding it and easily chopping down over a half-dozen Nikto soldiers on Nal Hutta working for the Hutts, although he could easily have killed more off-screen with it. In the following episode, “Shades of Reason”, we see Vizsla briefly wielding it to stave off the attack of the invaders (as part of Darth Maul’s plan). However, later on in the episode is, perhaps, the most exciting moment of this light saber. 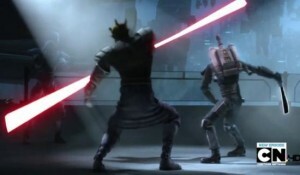 Darth Maul challenges Pre Vizsla to a duel. In the duel, Pre Vizsla uses it to fight against Darth Maul, while Maul uses his light saber. 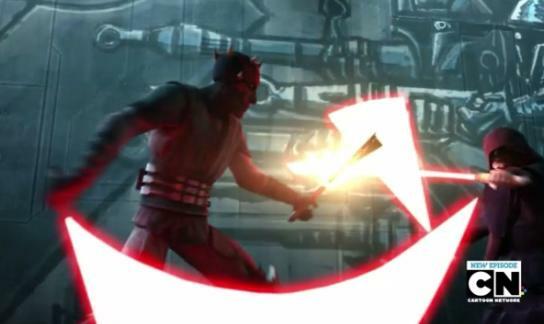 Finally, Darth Maul is able to wrest control of this special light saber and decapitates Pre Vizsla, ending not only his life as well as his control of this special light saber, but also his family’s longstanding control of it. We then see Darth Maul wielding it twice in the following episode, “The Lawless”. The first time is when he runs it through Duchess Satine, ending her life and causing emotional pain to Obi-Wan Kenobi, who is forced to watch her death. The second time, however, is the only time we see him using it in battle and it’s exciting! After battling Darth Sidious alongside his brother, Savage Oppress, we see his brother ran through with light sabers by Darth Sidious. At that moment, Maul pulls out the “dark saber” and engages Darth Sidious with it in one hand with his red light saber in the other hand. However, Darth Sidious eventually gets the best of him, capturing him and the “dark saber” is dropped on the ground, which is the last we see or hear of it in Star Wars: The Clone Wars.